Happy hour for desserts? Well, grab a spoon and head to Occasions in Koramangala to feast on their cakes, snacks, and pastries. Sugar, spice, and everything nice is what’s available at Occasions, the newly opened coffee and dessert cafe in Koramangala. From 8.30 pm to closing time, i.e 11 pm, everything that’s on display is at a flat 25 per cent discount. 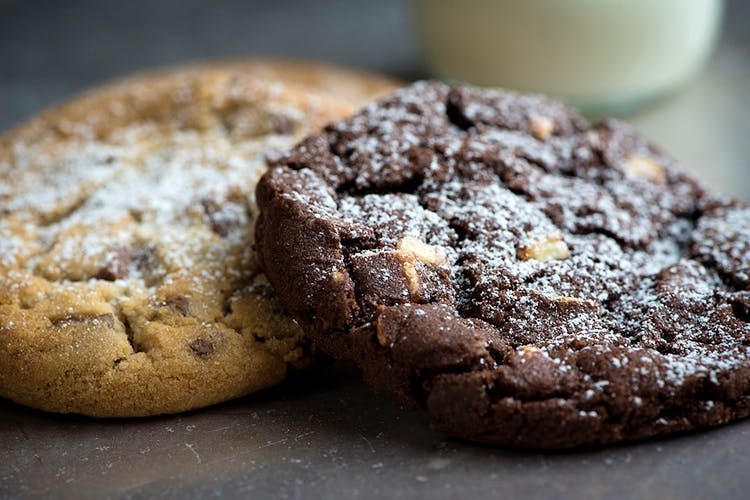 Bake us a cookie and call us a baker, because it’s the kind of happy hour we like when our watering holes are dry or when we just want to be high on sugar. The menu is just like any other dessert place with a rich array of pastries, cakes, snacks, and baked goodies such as cookies. In the pastry and cake section, there is Black Forest, Chocolate Truffle, Rainbow Cake, Red Velvet, and Blueberry Cheesecake, while puffs, Danishes, croissants, and rolls make up the snacks menu. Cakes are what these guys specialise in and from anything as simple as a chocolate cake to something like a themed cake for weddings, bachelorettes, and anniversaries can be ordered here. They also sell different flavours of Khari such as maska and wheat, cookies, and rusks.